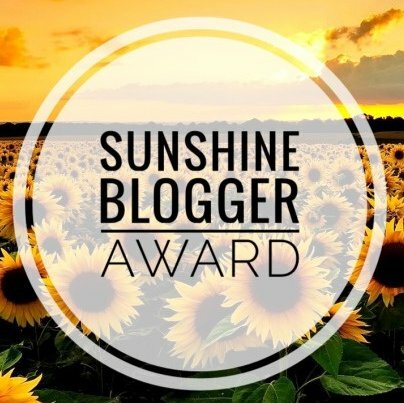 I was thrilled to be nominated for the Sunshine Blogger Award by Beth, a British blogger who follows me on Twitter. Beth is from Nottingham, England. Thanks again for the nomination. It is always thoughtful when a fellow blogger recognizes your efforts. Beth runs a make-up and lifestyle blog. Her latest posts are on friendships, dating, and of course make-up . Please show her socials some love. I wanted to capture my thoughts in a space of my own versus just social media. As a New Englander who HATES snow any place without snow and where the cost of living is reasonable. Wine and watch a show I have saved on DVR. Executive Assistant. I have been with my company going on 17 years. Yes, a Siberian Husky and 2 BETA fish. Night out. I love being out and about. Evolving. Life changes it is important to be open to change with it. Sure! LOL I prefer mushrooms myself. No set space, I am amazed how much I do on my smartphone. As of late organizing things. My nominee's, shouting out some of my blogger buddies on Twitter!!! Looking forward to seeing your post and your nominee list!!! If you could go on a vacation anywhere In the world where would It be? For food sweet or salty? Thanks again Beth for thinking of me!